While downloading, take a moment to scroll down for installation instructions. 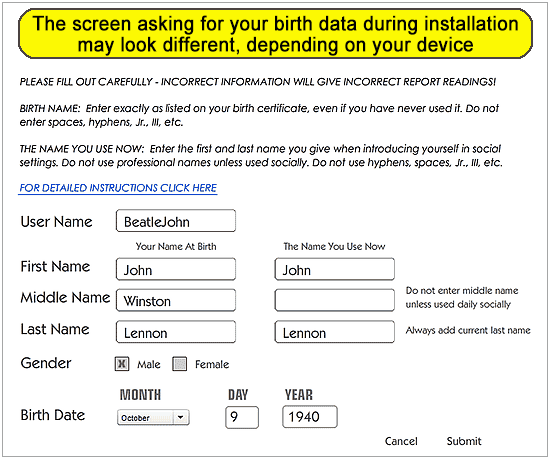 During installation you will be asked to enter your birth data. Incorrect birth data will produce inaccurate reports! You can access your free reading and the three numerology charting programs immediately after installation. Go to Reports & Charts, click any grey icon, then "Upgrade Here." This warning often accompanies Windows downloads. The file is safe, World Numerology has all security certificates in place to protect our product and customers. 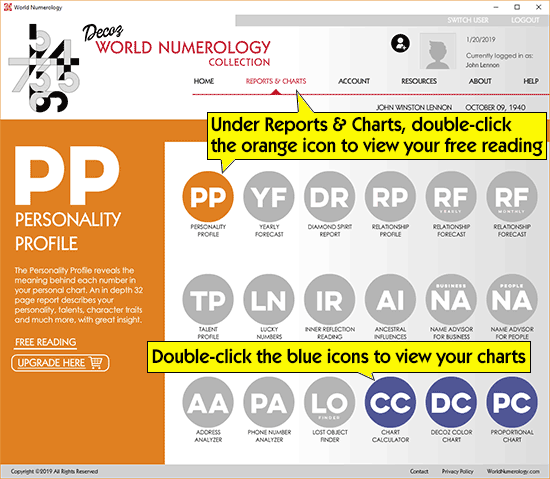 If you don't see the file in the left bottom of your browser window, go to the default folder for your downloads and double-click the file "world-numerology-collection-decoz.msi"
If you have a question, please see our support page, or contact us.